Professional Negligence is an alleged breach of the duty of care between a professional and his/her client. Professional negligence can include claims against professionals such as physicians, attorneys, architects and builders. The duty of care, by common law, means the professional will provide the client with services equal to the standards commonly held by those in that particular area of business. The SBM attorneys have experience in the representation of professionals in negligence actions, both in state and federal courts. Each case is fully investigated, litigated and evaluated for the appropriate course for resolution via dispositive motion, mediation, arbitration or jury trial. In medical malpractice, the duty of care is defined as exercising that degree of care as would be expected of a reasonably competent physician acting under the same or similar circumstances. 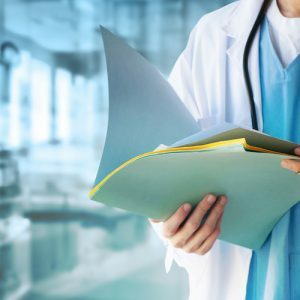 SBM attorneys have a broad range of experience in the representation of physicians, nurses and other medical care providers in medical negligence claims. The SBM attorneys have over 60 years of combined experience in the litigation and defense of these claims with an impressive “win rate” at trial. Insurance Agents are a special type of professionals with unique duties to the customers who purchase insurance policies from them. The lawyers at Schiller Barnes Maloney PLLC have over 35 years of experience defending, advising, investigating and trying allegations that an insurance agent or agency failed to live up to the standards of practice when selling insurance to protect their customers in personal, commercial, inland marine, and other specialty areas. The attorneys at Schiller Barnes Maloney are experienced in dealing with the Kentucky Board of Medical Licensure and the Kentucky Board of Nursing on licensure issues including licensure hearings, revocations, suspensions and re-applications. SBM attorneys can help your insured to obtain a better outcome in dealings with either State Board. Our attorneys are also experienced in responding to medical board inquiries following the report of a settlement or judgment to the National Practitioner Data Bank.